One of the best selling close-up card routines is now suitable for parlor and stage shows. Phil Goldstein created a sensation when he released his original "B'Wave." Practically every magician on the planet owns one, carries it and uses it. 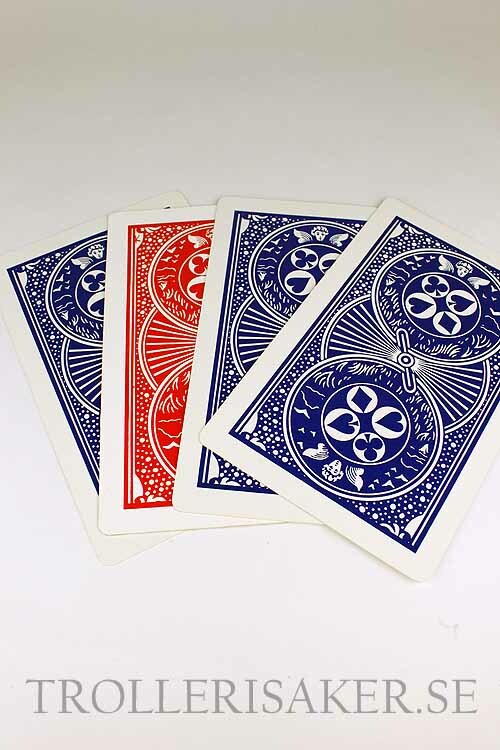 You display four, giant (18cmx28cm) blue-backed cards (said to be four queens). A spectator selects one of the queens. The named queen is shown to be the only one that is face up. It is also the only one with a red back. To everyone's amazement the other three cards are shown to be blank! For the first time you can do this great routine on stage. 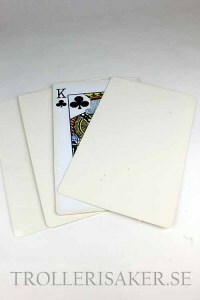 The cards supplied are "giant" and can be seen in the largest auditoriums. Great for emcees, mentalists, magicians, children's entertainers, well just about everyone! Comes complete with four specially constructed cards and illustrated instructions. Can be learned in seconds. Endast kort - beskrivning saknas.